Thank you, Steve, for your comment. We are very fortunate to have such amazing volunteers, like yourself, working to elevate the AAPA and promote the profession. Happy Pathologists' Assistant Day to all! The new pathasst.org website and the daily member highlights are incredible. I'm in awe of the AAPA and the dedication of PA's contributors and our Central Office staff who continually make this association the best it can be. Past officers, committee volunteers, BOT members along with the rich history and the "Can Do!" attitudes are beyond any dream that I've had over the years of what the AAPA would be! 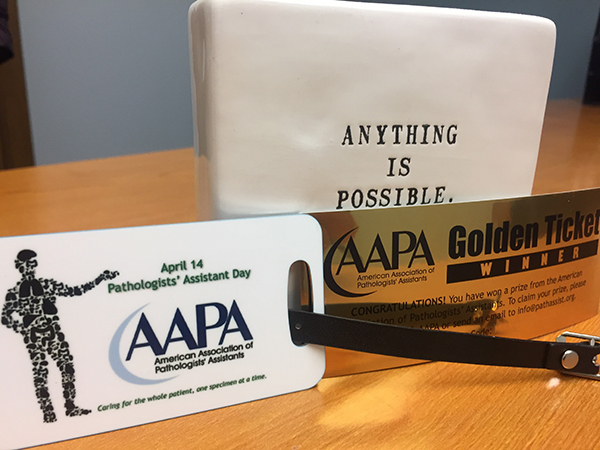 Thank you, thank you, thank you AAPA members past and present for not only making this a very special and satisfying profession, but for your contributions and your unwavering support. Happy 2018 PA Day to all!